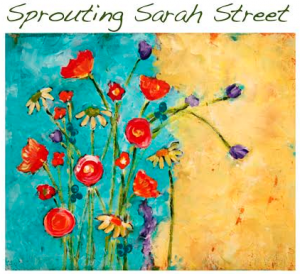 WHEN: Sunday, June 7 from 2 p.m. to 5 p.m.
Sprouting Sarah Street is a Garden Party benefiting the community efforts to improve and redevelop South Side Park. Please join us (rain or shine) for a community gathering at a private and extraordinary garden in our South Side neighborhood for an afternoon of socialization, wine, hors d’oeuvres, and chamber music to benefit the progress being made to improve South Side Park for all to share and enjoy! South Side Park is a beautiful 65-acre expanse of underutilized green-space sitting in the heart of the South Side Slopes. Since the inception of the South Side Slopes Neighborhood Association the revitalization of this gem has been a focus of significant efforts of this organization and its members. The organization has steadily increased its presence and efforts in this park over the years as it strives to bring positive use within the greater South Side Slopes area. Your donation will support the garden - helping to purchase maintenance equipment and supplies for the gardening season.